Our bikes help you save money on gas because our bikes do not use gas. The electric bike styles charge at any electric outlet an only use about 25 cents worth of electricity. The savings alone on gas pays for our Skiron ™ brand bike very quickly! We are a locally owned company offering styles including electric bikes based in Phoenix, Arizona with customers in the surrounding areas including Tempe, Mesa, Chandler and more. E-Bikes in Phoenix are wonderful machines that combine the utility of a bicycle with the motorized ability of a traditional motor vehicle. Somewhat similar to an electric moped, these bikes allow users to get where they are going without requiring them to depend on fossil fuels. Not only is saving money on gas with e-bikes a reality in Arizona, but using these bikes can help you to save money in other ways. From reducing public transport costs to helping you reduce overhead on deliveries, choosing an e-bike instead of a traditional motor vehicle is a great way to save money while you help the environment. If you live in a country or region with any form of public transportation infrastructure, you already know that the modes of transportation available are overburdened. Not only are there more people who need to get from point A to point B, but the price of gas has likely shut down certain routes or caused certain companies to go under, strikes have occurred several times by workers of city buses. This has made it harder and more expensive to catch a bus or a train to your destination, and thus makes public transportation unreliable. Phoenix electric bikes are under your control since we typically have no-rain days, allowing you to set your own schedule. Even using an e-bike to take short trips can help you to avoid paying the portion of a public transport ticket that is related to gas surcharges, allowing you to budget your travel more easily than those who have to deal with fluctuating ticket prices. While a single bus or train ticket might only dedicate a few cents to fuel costs, choosing to use an e-bike will give you a chance to compound the money that you save with every train or bus trip that you can skip. Combined with the ease of using an e-bike over trying to find a bus that will get you to your destination, choosing an electric bike just makes sense. The e-bike stands out as an electric conveyance vehicle when compared to motorcycles and even mopeds due to its lack of fossil fuel use. While both of the other vehicles are remarkably fuel efficient, the price of using either is still skyrocketing due to higher gas costs. E-bikes, on the other hand, do not use gasoline and thus are unaffected by rising costs. While the gap between e-bike and moped operation might be relatively small at the moment, the gap will only grow in coming years. 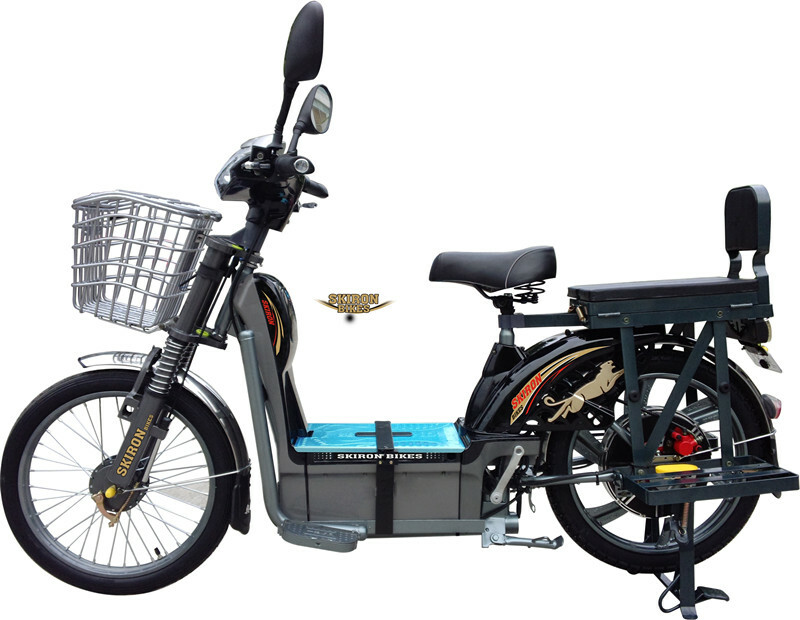 Electric bikes also provide a useful alternative for single-person transportation in most urban regions. A single individual riding in a car wastes a great deal of energy in the process — not only is the vehicle meant to seat two or more, but the weight of the car itself is responsible for most of the fuel being burned. Eliminating that weight allows an electric bike to make use of a smaller power source and engine, giving riders a better chance to travel efficiently. This in turn helps to eliminate the need to drive a large vehicle for small tasks that do not require extra transportation room. The monetary savings of an e-bike even extends to businesses located in dense urban areas. Most businesses that provide delivery services have been forced to increase their prices over the last five to ten years to deal with the increasing price of gas, either by adding a delivery fee or by increasing the prices of basic items. This, in turn, has made delivery a less attractive option for many customers. Any business that can cut out these fees has a significant advantage over its competitors. Thanks to recent laws, Electric bikes have become incredibly popular as a courier/delivery vehicle of choice in densely populated cities. In fact, the e-bike is now the vehicle of choice for delivery in many parts of New York City. Since the bikes can be recharged (and in most cases, even be ridden under muscle power), the cost of fuel can be removed from the delivery equation. This allows delivery companies to either reduce prices or to cut overhead, leading to higher profits for the business and to lower prices for the customer. Given the fact that these bikes have top speeds that are higher than those of a typical bike messenger, the bikes have also become a welcome alternative in the courier industry. If you own a car, you already know that maintenance can get expensive. A problem as simple as needing new breaks will cost you several hundred dollars at the shop, while an engine problem can end up costing you several thousand. Coupled with the fact that regular oil changes continue to rise in price with the rising price of oil, operating a care becomes much financially difficult than figuring out how to get gas money. Fortunately, finding e-bikes (or at least one) can help you to avoid these high maintenance costs. While mechanical problems might happen to your bike, they are much easier to fix. Most issues with the bike itself can be fixed even by an amateur, and engine-related issues always cost significantly less than those related to cars. Since you will not have to pay thirty to fifty dollars for basic maintenance each month, you can easily pocket those savings in order to make sure that any major repairs will end up paying for themselves. No matter what happens, dealing with maintenance on an e-bike is cheaper than doing so with a traditional vehicle. Saving money on gas with e-bikes is only one of the ways that using an electric bike can save you money, but it is the most obvious. Investing in one of these bikes is not just good for the environment, but it is also good for your bank account. Whether you are looking for something more reliable than taking a bus or you want to make sure that the operating costs of your delivery business stay reasonable, using one of these bikes is the best way to own reliable transportation while still keeping costs down.